The acute, lower right abdominal pain may be spontaneous or even chronic, varying from sharp to dull and diffused to centralize. The pain can also be accompanied by soreness, nausea, gas, and appetite loss. It is important that you pay attention to the pain, and if it is severe or lasts more than a few days, you should consult your doctor. Many body organs locate in this region such as the colon, appendix, and fallopian tube which can create more significant ailments if the reason for the pain is not diagnosed properly. The most common cause of lower right abdominal pain is appendicitis. This occurs when there is an infection or blockage that leads to swelling and inflammation of the appendix. If you notice the following symptoms, it is important that you get a quick diagnosis. Most of the time the first symptom is a dull, aching pain around the belly button; over several hours this pain will continue to become more intense and the area around the pain will become tender to touch. You may even experience nausea, diarrhea or constipation, and a low fever. When you are unable to pass regular stools due to constipation, you may have lower right abdominal pain. While constipated, it is common to have straining, bloating, and rectal pressure until you have a bowel movement. Once you have a bowel movement, the pain in the lower right abdomen should be alleviated. You may consume over-the-counter stool softeners or laxatives to help with regular bowel movement. A change in diet will often help if you suffer from constipation often. When you experience pain in the groin, back pain, and lower abdominal pain, you may have an infection in the right kidney. The kidney may become inflamed and painful from a urinary tract infection. With an infected kidney, you may constantly feel the urge to urinate. The urine may also be painful or contain blood and pus. A fever is also a common accompanying symptom. If left untreated, it may lead to damaged kidneys, it is important that you visit your doctor once you have any of the symptoms. Crystallized deposits may develop within your kidneys, known as kidney stones. These occur when your urine is concentrated and your body is becoming dehydrated. The stones will eventually pass through your urinary tract. Kidney stones do not normally cause permanent harm; however, you may experience intermittent pain that varies in severity until they pass. You may also experience colored, smelly urine, vomiting, chills, and a constant urge to urinate. Drinking plenty of water helps with most cases, but if the pain is severe you may need to have them surgically removed. A chronic inflammation of the intestines, often associated with ulcers and fistulae is commonly known as Crohn’s disease. Most of the time it affects young and middle aged adults. The most common symptom is lower right abdominal pain, but is also accompanied by nausea, fever, diarrhea, bloody stools, a rash of the skin, or ulcers in the mouth. A doctor is able to make the diagnoses based upon the results of a colonoscopy, blood and stool tests, and an examination of the small or large intestinal lining. A slow growing tumor that is mostly discovered in older adults is a carcinoid. Even though this is rare, it may cause pain in the lower right abdomen if it grows on the appendix or cecum. Nausea, diarrhea, and hot flashes may also accompany the pain. Using blood tests and a CT of the appendix, a doctor can make the diagnosis. When a fertilized egg is implanted outside the uterus, it can get lodged in the right ovary or fallopian tube. An ectopic pregnancy causes severe lower right abdomen pain. Often times this can be mistaken for appendicitis; however if a period is missed, it may be an ectopic pregnancy. An early symptom is vaginal bleeding and lower right abdominal pain. It is vital that you visit your doctor if you miss a period and have abdominal pain as the fallopian tube may rupture and cause heavy, internal bleeding. 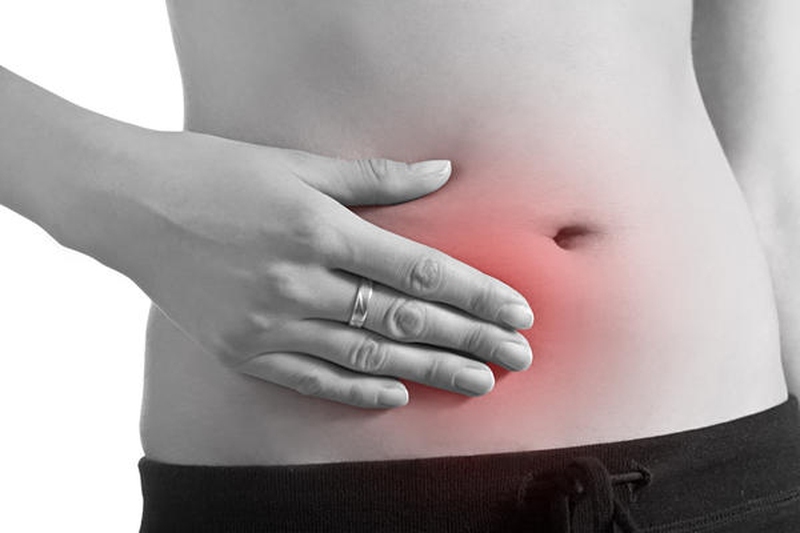 Lower right abdomen pain caused by ovulation may sometimes be mistaken for appendicitis. However, unlike appendicitis, there's no need to seek medical attention for this pain as it will go away on its own or with the aid of over-the-counter pain medicationssuch as aspirin, acetaminophen, naproxen sodium or ibuprofen. You may experience this pain about two weeks before your menstrual period begins. When the egg is discharged from the ovary, it may cause a dull cramp or a sharp cramp. Sometimes you may even have vaginal bleeding with severe cramping. Ovarian cysts develop on the surface of the ovaries. They are sacs of fluid that may grow to a large size and cause discomfort. Most of the time they will go away on their own; however, when they become enlarged or twisted, you will experience a sharp pain in the lower right abdomen. The pain you experience is normally dull and intermittent from the lower right abdomen to the thigh and lower back. If the pain develops into a more severe, sharp pain and is accompanied by fever and vomiting, it is important that you visit your doctor. When the pain is severe, especially if it was sudden, you need to seek medical attention. It is also important to seek medical attention if the pain is accompanied by fever, nausea, vomiting, weight loss, irregular bowel movements, bloody stools, or bloody urine. Women also need to seek immediate medical attention if they notice pain accompanied by a vaginal discharge or bleeding.